Charing Cross is part of the Westminster City area and it is a famous junction between Cockspur Street, Whitehall and Strand. It is located very close to the world-renowned Trafalgar Square and it’s also home to Charing Cross Station, an important London rail terminal. 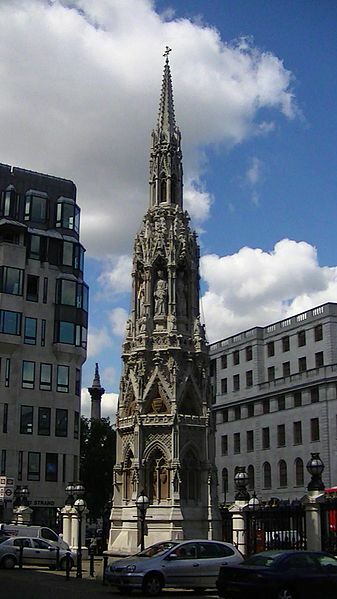 The name comes from the Eleanor cross that was erected in the area before the 17th century. It was replaced by an equestrian statue representing King Charles I and later, a Victorian construction, that can still be seen nowadays, took its place. An interesting fact about Charing Cross is that it’s considered to be the centre of London and it is utilised to measure the distances from the British Capital. Such a role is also carried by St Mary-le-Bow church, Hicks Hall and London Stone. The replacement cross was commissioned in 1865, 1 year after the railway station was built. It was designed to sit in the station forecourt as its centrepiece. The new cross has a Victorian Gothic design and it measures 70 feet in height. On the top, it has a cross and a spire. In 1970, the monument was listed as a Grade II construction. Some of the fragments from the original cross can be seen at the Museum of London. In order to get rail transport from Luton Airport to WC2 – Westminster, you must take the bus to Luton Airport Parkway, the train to King’s Cross St. Pancras and another train to Leicester Square Underground. So as to travel by car from Luton Airport to WC2 – Westminster, you need to take the M1, or the M1 and the A400. Luton Airport is 33.6 miles away from WC2 – Westminster. A journey by transfer from Luton Airport to WC2- Westminster with 247 Luton Airport Transfer is going to last almost 1 hour and 15 minutes. The price for a transfer from London Luton Airport to WC2 – Westminster starts from £54.